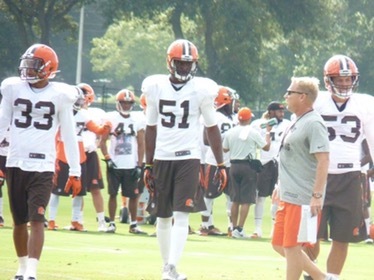 Today, the New England Patriots acquire Browns pass rusher Barkevious Mingo, according to Ian Rapoport of NFL.com. According to the Akron Beacon Journal, the Browns will receive a 2017 fifth-round draft pick. Now, Mingo was once rated as one of the best pass rusher in the 2013 NFL Draft. The Browns used a first-round pick (6th overall) on the LSU Tiger product, but unfortunately it did not pan out how the Browns wanted, but it was smart for the Browns to trade Mingo, as he was not a lock to make the roster, plus he was mostly a special teams player for the Browns the past few seasons. On the other hand, the Patriots will get Mingo for one season, as his fifth-year option was declined earlier in the off-season. The Pats will experiment with him and he will get plenty of reps with the first team, as they are missing three big pieces on defense with Rob Ninkovich, Jabaal Sheard, and Shea McClellin nursing injuries. In addition, Mingo will have to play at a high level to remain a Patriot or for a new team to land a contract, which the Patriots are great at fixing bad experiments that other teams could not fix and making the player play at the level they should be playing at. Finally, Mingo has accumulated seven sacks, one interception, and 68 tackles in three seasons. He has participated in 46 games and starting 16 of them.